Jubilant Life Sciences Limited is an integrated global pharmaceutical and life sciences company engaged in Pharmaceuticals, Life Science Ingredients and Other businesses including Drug Discovery Solutions and India Branded Pharmaceuticals. The Pharmaceuticals segment, through its wholly owned subsidiary Jubilant Pharma Limited, is engaged in manufacturing and supply of APIs, Solid Dosage Formulations, Radiopharmaceuticals, Allergy Therapy Products and Contract Manufacturing of Sterile Injectibles and Non-sterile products through 6 USFDA approved manufacturing facilities in the US, Canada and India and a network of over 50 radio-pharmacies in the US. The Life Science Ingredients segment, is engaged in Specialty Intermediates, Nutritional Products and Life Science Chemicals through 5 manufacturing facilities in India. The Drug Discovery Solutions business, provides proprietary in-house innovation & collaborative research and partnership for out-licensing through 2 world class research centers in India. 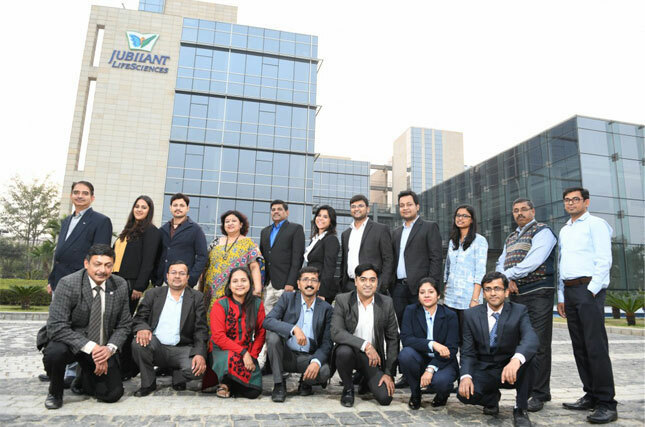 Jubilant Life Sciences Limited has a team of around 7,700 multicultural people across the globe and is committed to deliver value to its customers across over 100 countries. The Company is well recognized as a ‘Partner of Choice’ by leading pharmaceuticals and life sciences companies globally.